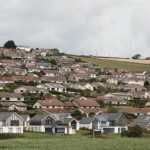 Figures published by the Government have revealed that more than 38,000 UK households have had their homes assessed as part of the Green Deal energy efficiency scheme. Householders can apply for up to £10,000 of finance to install a wide range of eligible home improvements such as solar photovoltaic panels, heat pumps, condensing boilers and cavity wall insulation. The loan is paid back over the course of 25 years through savings made on the household’s energy bills. Of the 38,259 homes that have had a Green Deal assessment to determine which energy saving measures their properties would benefit from the most, just four of those have actually taken the process further and gone ahead and signed up to the scheme. While an additional 241 have confirmed their interest in signing up for Green Deal finance to install energy efficient home improvements, says the Department of Energy and Climate Change (DECC). To say the Government’s flagship scheme has got off to a disappointing start is an understatement. Launched at the end of January, the scheme has certainly endured its fair share of teething troubles. More than five months on issues remain which deperately need ironing out, not least problems organising the finance. With legal contracts not in place it means the majority of providers simply aren’t in a position to offer finance. Other complications include energy providers having problems adapting their IT systems to support the Green Deal, meaning they aren’t in a postion yet to process applications efficiently. The Government however remains as positive as ever about the scheme, pointing out that 78% of people who had a Green Deal assessment have indicated that they were either in the process of getting energy saving home improvements based on their Green Deal Advice Report, or that they planned to in the near future.